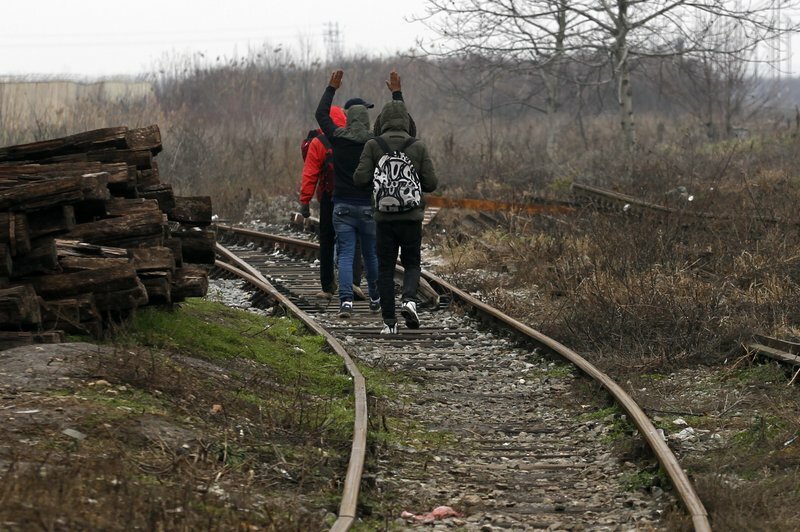 The family of a 6-year-old Afghan migrant girl killed by a train on the Serbia-Croatia border filed charges Tuesday against Croatian police for putting them in danger by forcing them back over the frontier. The lawyer representing the Hussiny family said in Zagreb that the charges were filed because the Croat border guards on the night of November 21 refused to allow the family with six children to file an asylum claim and forced them back into Serbia down railway tracks in pitch darkness. The girl was hit by a train minutes later. “They refused the mother’s plea to spend a night (in Croatia) with her children because they were tired and cold, and as a result the death happened,” she said. Croatia’s interior ministry has denied that the family ever reached Croatian territory and that the police forced them back. It said they sent an ambulance to help the girl, Madina Hussiny, but that doctors could only confirm her death. The tragedy of the Afghan family, who tried to reach Croatia after spending nearly a year in Serbia hoping for legal passage eventually into Hungary, was the latest in a string of migrant deaths and injuries across the Balkans. The family remains in Serbia after burying the girl at an unmarked grave close to the site of her death. International rights groups have criticized both Croatia and Hungary for forcefully pushing migrants back to Serbia when they cross the borders, denying them their legal rights to seek asylum. An estimated 4,500 migrants are currently in Serbia, about half of them children, living in makeshift refugee centers or out in the open in the freezing cold.